iComTech provides no information on their website about who owns or runs the business. The iComTech website domain (“icomtech.io”) was privately registered on July 19th, 2018. The website itself appears to be a cookie-cutter theme. Buried in the iComTech website source-code is reference to “The ICO Crypto Team”. Various fictional executives are listed in the default theme. Typically an MLM cryptocurrency will create new names and new stock photos to fool people with. iComTech didn’t bother and instead chose to just comment out fake management information so viewers don’t see it. For those curious, the theme used is “Cryptico” from Ocean Themes ($59). iComTech has no retailable products or services, with affiliates only able to market iComTech affiliate membership itself. iComTech affiliates invest bitcoin on the promise of an advertised 0.9% to 2.8% daily ROI. The iComTech website doesn’t specify a ROI cap. iComTech pays residual commissions via a binary compensation structure. The first level of the binary team houses two positions. The second level of the binary team is generated by splitting these first two positions into another two positions each (4 positions). Subsequent levels of the binary team are generated as required, with each new level housing twice as many positions as the previous level. Positions in the binary team are filled via direct and indirect recruitment of affiliates. Note there is no limit to how deep a binary team can grow. At the end of each day iComTech tallies up new investment volume based on the above point values. Affiliates are paid a percentage of matched points on both sides of the binary, based on the highest tier they’ve invested in. iComTech affiliate membership is tied to a $300 to $5000 or more investment in bitcoin. We’re at the point where a scammer, or group of scammers, can purchase a website template and launch an MLM cryptocurrency scam for less than $100. iComTech bills itself as a “technological institution based on bitcoin”. Our objective is to promote and disseminate knowledge about new information technologies based on decentralized ecosystems such as the BITCOIN. In reality iComTech’s business model, outside of using it a vehicle to commit fraud, has nothing to do with bitcoin. iComTech claim to generate external ROI revenue through the cryptocurrency trading and mining cliché. No evidence of iComTech engaged in cryptocurrency mining or trading is provided. Furthermore iComTech’s claims fail the Ponzi logic test. If iComTech was able to legitimately generate a consistent 0.9% to 2.8% daily ROI, they’d have no reason to solicit investment from randoms over the internet through a $59 website. The only verifiable source of revenue entering iComTech is new investment. Using newly invested funds to pay existing affiliates a ROI makes iComTech scheme. 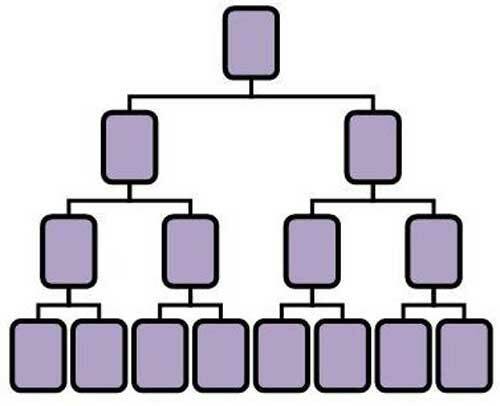 Recruitment and residual commissions round out the scam, adding an additional pyramid layer to the scheme. As with all MLM Ponzi schemes, once affiliate membership drops off so too will new investment. This will starve iComTech of ROI revenue, eventually prompting a collapse. The math behind Ponzi schemes guarantees that when they collapse, the majority of investors lose money. Icomtech interview in youtube Jim harstad claimed he was one of the minority and become a majority owner.